at 305 E. Main Street, Salem, Virginia. Serve all civil process papers in a timely manner. 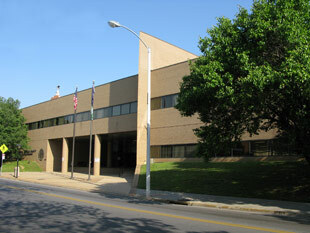 Roanoke County Sheriff's Office is not responsible for service of either preliminary or emergency protective orders. All protective orders issued for Roanoke County residents are served by the Roanoke County Police Department. Hiring, training, and development of staff. Captain Norman Hudson is a native of the Roanoke Valley. He graduated from Andrew Lewis High School in 1975 and went on to further his education in Police Science at Virginia Western Community College. In 1979 he joined the Roanoke City Sheriff's Office as a deputy sheriff. Over the years he moved through the divisions and was promoted to the rank of lieutenant of the Court and Civil divisions until his retirement in 2010. 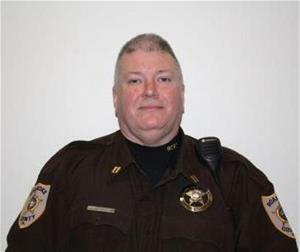 In 2011 he went to work for CRTS of Virginia where he stayed until being appointed in 2016 by newly elected Sheriff Joseph Orange to the rank of Captain of the Community Outreach Division. His knowledge of corrections, law enforcement, and his commitment to public service will continue to be an asset to the citizens of Roanoke County. He welcomes the citizens of Roanoke County and surrounding areas to contact him with any questions or needs to help them with any community and school related matters. To be faithful to not only fellow law enforcement officers but to the community with respect and trust. To treat others as you want to be treated. To be courteous and respectful even under stressful and negative situations. To communicate with confidence, honesty, integrity, and morally. To put the welfare of others before our own interest. To act professionally on and off duty and serve the citizens of Roanoke County to the best of my ability. Captain Mark Crouch is a native of the Roanoke Valley, growing up in Salem. Prior to serving the citizens of Roanoke County, he worked 11 years in the airline industry as a station manager and trainer, as well as serving a period in the U.S. Army. He was stationed in Erlangen, Germany with the 1st Armored Division during the final years of the Cold War. He has currently served in a public service role since May 2000. He is a DCJS certified Firearms Instructor and General Instructor for the Roanoke County Sheriff’s Office. He is married to his wonderful and supportive wife, Kagan. Together, they have one son and are very active in his life. His family is very active in their church and he strongly supports the Christian ideals that founded this great nation. Captain Crouch enjoys spending time with his family, fishing, and shooting sports. A personal goal of his is to obtain his private pilot’s license in the next several years. He is proud to serve the citizens of the Roanoke Valley and looks forward to continuing ushering them into a safer future.